In November 2015, Tina Heck was in her garage lifting 40-pound bags of wood pellets to fuel her heating stove, when something went very wrong with her back. "The next day, I could barely walk," said the 55-year-old who lives on an acre of land in Nevada City, Calif., 60 miles northeast of Sacramento. The cause: a bulging disc in her lower spine, which shoots pain down her leg and makes her back stiff. The injury wasn't Heck's only setback. The initial MRI, cortisone shot and doctor visit cost her $3,000 because her health plan requires her to shell out $5,000 before insurer payments kick in. She doesn't want to explore other treatment options because of that high deductible. Heck, who makes $68,000 a year in marketing for a nonprofit, is not willing to add more debt on top of her credit-card and mortgage payments. "I'm in pain every day," she said, but "it's not bad enough to go into debt." The concept behind high-deductible plans was to lower premiums and reduce overall health costs by ensuring that consumers shared the financial burden of their own health care decisions. But evidence is mounting: High deductibles have actually forced people to delay care that could prevent health emergencies later or improve their quality of life. "People who have medical problems that can be put off tend to do so much more now because of the high deductible," said Dr. Ted Mazer, a San-Diego based head and neck surgeon who is president-elect of the California Medical Association. Annual deductibles can amount to many thousands of dollars on some plans. Covered California bronze plans, with the lowest premiums available on the exchange, carry deductibles of $6,300 for an individual and $12,600 for a family. A Kaiser Family Foundation survey released this year showed that 43% of insured people reported having trouble paying their deductible, up from 34% in 2015. In one study by the liberal advocacy group Families USA, more than a quarter of people in high-deductible plans delayed some type of medical service, such as a doctor visit or diagnostic test. And 44% of adults with high out-of-pocket expenses put off medical care, according to a nonpartisan Commonwealth Fund study. Another recent study by researchers at the University of California-Berkeley and Harvard University found that people with high-deductible plans spent 42% less on health care before meeting their deductibles, primarily by reducing the amount of health care they received, not by shopping around for a better price. Jonathan Kolstad, associate professor of economics at UC-Berkeley's business school and co-author of the study, said patients dropped both needed care, such as diabetes medication, and potentially unnecessary care, such as imaging for headaches. "Left to their own devices, people [in high-deductible plans] seem ill-equipped to make their own decisions" about what care they need, and what care they don't, Kolstad said. Mazer said that, in his practice, people have delayed all kinds of treatment that may not save "life or limb" but involved medical conditions that interfered with breathing or sleeping. He said he's had patients who needed a biopsy to determine if an abnormal vocal cord was cancerous, and they put it off because of the cost. "I have to make the phone call and say, 'We're looking at a mass that may be malignant and if you put it off you're putting yourself at risk,'" Mazer said. "And I'll tell you, we've had people take that risk." Recent Republican proposals to repeal Obamacare have promoted the use of high-deductible plans by allowing people to put away more tax-free dollars into the health savings accounts that consumers use in conjunction with those plans. 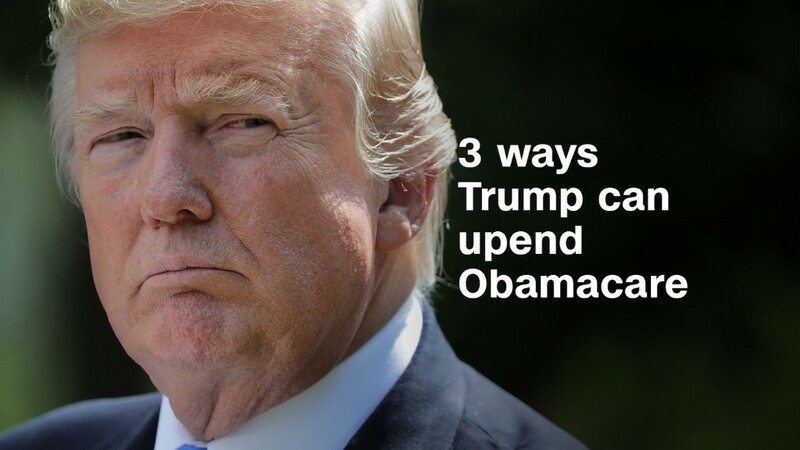 And experts said the proposals would also spur the growth of these plans -- by cutting the subsidies available through exchanges, inducing customers to look for cheaper plans with higher deductibles. Conservatives say insurance that promotes personal financial responsibility helps tamp down overall health costs. Hoover Institution analysts, for example, argue that high deductibles encourage patients to "choose wisely." But new evidence suggests that putting off care can be dangerous and, eventually, more costly to patients. A March 2017 Harvard study found that low-income patients with diabetes who had high-deductible plans delayed visits for complications such as skin infections and pneumonia. They wound up getting more expensive care later on. Patients may try to treat their conditions at home, or hope they go away — but if that approach fails, "they then have to seek care at the emergency department," said Frank Wharam, a health policy researcher at Harvard Medical School and lead author of the study. Wharam said the middle-income earners he studied didn't suffer any adverse effects from health care choices they made in high-deductible plans, adding that more studies are needed on that group. Sabrina Corlette, from the Georgetown University Center on Health Insurance Reforms, said that until national health policy addresses the "underlying costs of care," patients in high-deductible plans will likely be stuck with the difficult task of figuring out what medical attention they need or can afford. Heck said the symptoms from her back injury have changed — the pain is in a different part of the body than it was right after the injury. But she's not even considering a trip to a nearby clinic for a new assessment. That would require another MRI, she said, which could cost at least $1,500, and it might not even help her. If her deductible weren't as high, she'd feel "freer" to explore other health care options, she said. For now, she's taking a lot of ibuprofen and seeing a chiropractor. "A lot of people get stuck in this place," she said.